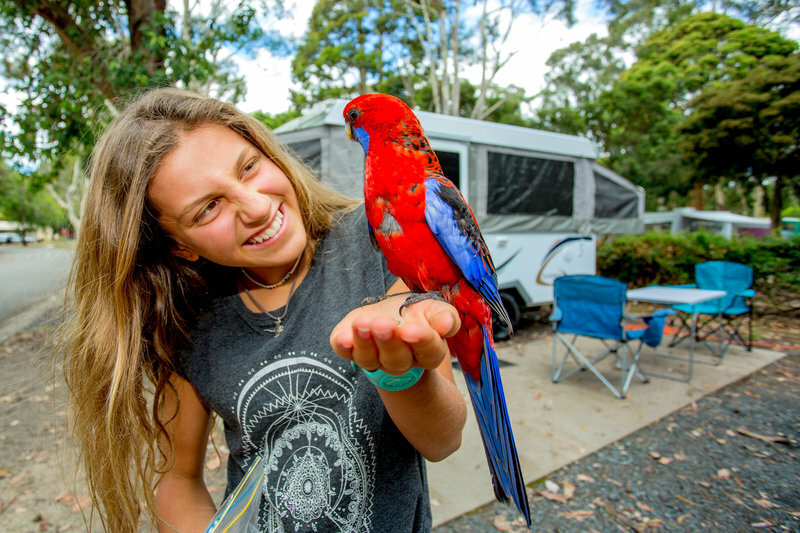 BIG4 Yarra Valley Park Lane Holiday Park is located in the heart of the delightful Yarra Valley Region. Discover a peaceful getaway set amongst the native Australian bush, just a 60-minute drive from Melbourne’s CBD. Accommodation options are designed to suit all needs. Find your unique style to create lasting memories with friends and family. Select from luxury cabins, glamping, camping and caravan sites. Villas and Cabins – varying in size from a 3-bedroom condo to brand new studio cabins. Each cabin is fully equipped with everything from kitchen utensils to linen, a perfect ‘home away from home’! 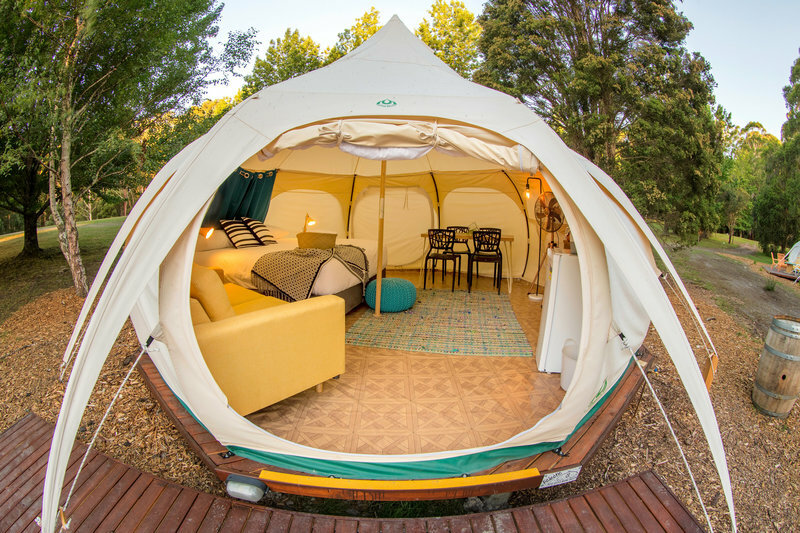 Glamping Bell Tents & Pods – ‘Glamping’ means glamourous + camping. Here we define it as rest and relaxation in the great outdoors without sacrificing all the creature comforts of home! Imagine no set up or pack up. Our luxurious belle tents and glamping pods come fully furnished. Too easy! Bell Tents – the stunning Bell Tents come in two different layouts: single or family tents. All include: comfortable king size beds, linen, bar fridge, TV, dining table, crockery and cutlery, power, outdoor deck for seating and use of the private precinct ensuites. 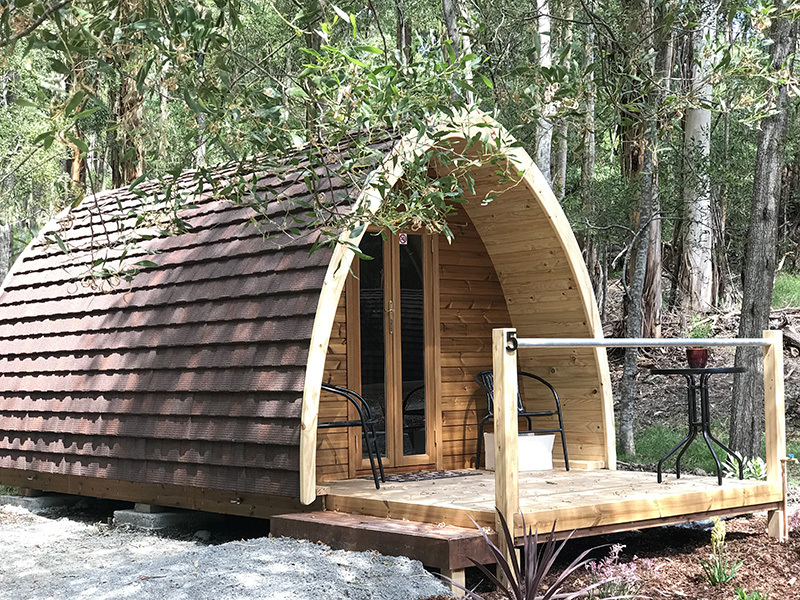 Glamping Pods – This unique accommodation is located in a private precinct of the holiday park. It has been hand-built in a bespoke design for couples or friends. A fantastic feature includes your own personal Pod Buggy to get you to and from the car to your Glamping Pod with ease! 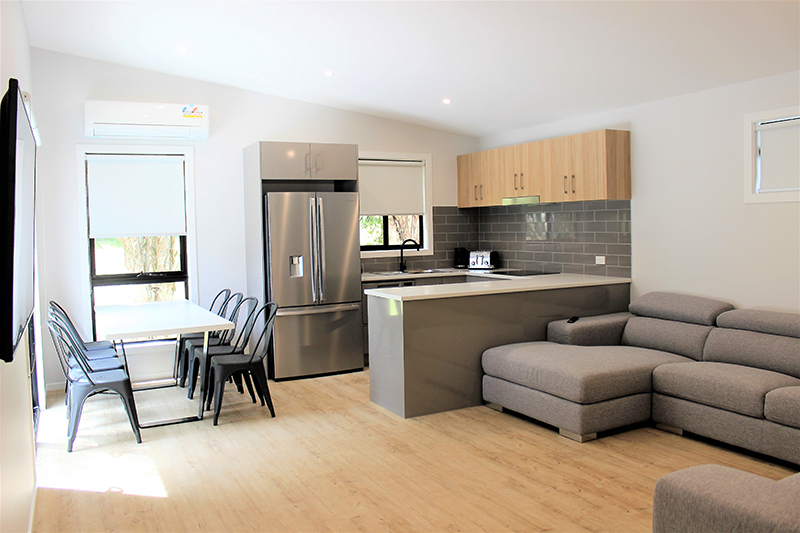 All include: comfortable king size bed, linen, bar fridge, TV, crockery and cutlery, power, outdoor deck for seating and use of the private precinct ensuites. Caravan & Camping – Our powered sites will have you relaxing under the stars with ease! Enjoy well- maintained amenities or select your own private ensuite site with shower and toilet.